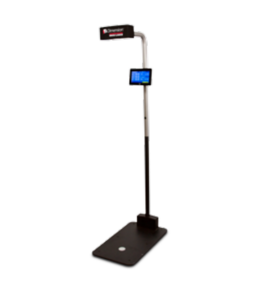 iDimension 100 3D Imaging System is designed for use in a retail, office and shipping environments on a workstation, table or bench. This is the first Rice Lake Weighing System iDimension Series product that provides all the necessary hardware for an out-of-the-box weighing solution. Dimensions parcels in less than 2/10th of a second at 0.2in NTEP. Certified accuracy. Requires virtually no special alignment or special handling while placing an object under the work area. Converts irregular shapes like cylinders, spheres, tubes, polybags and uneven shapes to 0.5in NTEP Certified accurate cubed dimensions.